Book your appointment online via the below link – You will receive a confirmation email, confirming the booking and providing a link to a pre-booking consultation form. Payment must be received 48 hours before the consultation *, at which time an email will be sent with the link to join a zoom online consultation. * should you wish to book within 48 hours – please call or send me a message via facebook messenger when making payment, so arrangements can be made to send the meeting request immediately. Initial consultations are approximately 75 minutes long and are used to gather all the information needed to understand the root cause of your current health concerns. This allows for evidence-based research to be undertaken and an individualised health plan to be developed, to suit your needs. A pre-appointment form will be emailed to you once your booking is confirmed. By completing the form prior to your first consultation , it will allow me to focus the consultation, to provide the best health outcomes for you or your child ( the form takes around 15 minutes to complete). Once completed it will automatically update in my system. Find out more about consultations here. 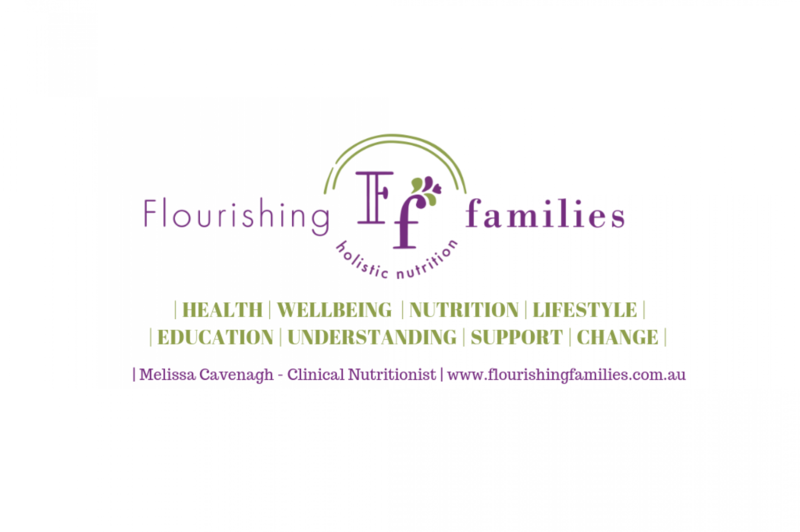 Flourishing Families goal is to provide quality health care in a timely manner. As such a strict 24 hour cancellation policy exists, to ensure I can provide a high level of care to all clients. However, I do understand that sometimes unexpected events can arise, please notify me if you are unable to attend your appointment at least 24 hours hours prior to your scheduled time, so I can reschedule your appointment and offer your time slot to clients awaiting appointments. Should an emergency arise, please contact me as soon as possible. Rescheduling the appointment within 24 hours will incur a 50% cancellation fee. Missed appointments with no notification, will incur the full consultation fee. REFUNDS: Will be provided if an appropriate consultation time can not be obtained, or when notice is given prior to 24 hours of the booked consultation time and an appropriate rescheduled time can not be made.